This year, the first and second graders celebrated Nutrition Week by learning about the five food groups—grains, proteins, vegetables, fruits, and dairy. During homeroom periods, they watched videos, had discussions, and did nutrition related activities. 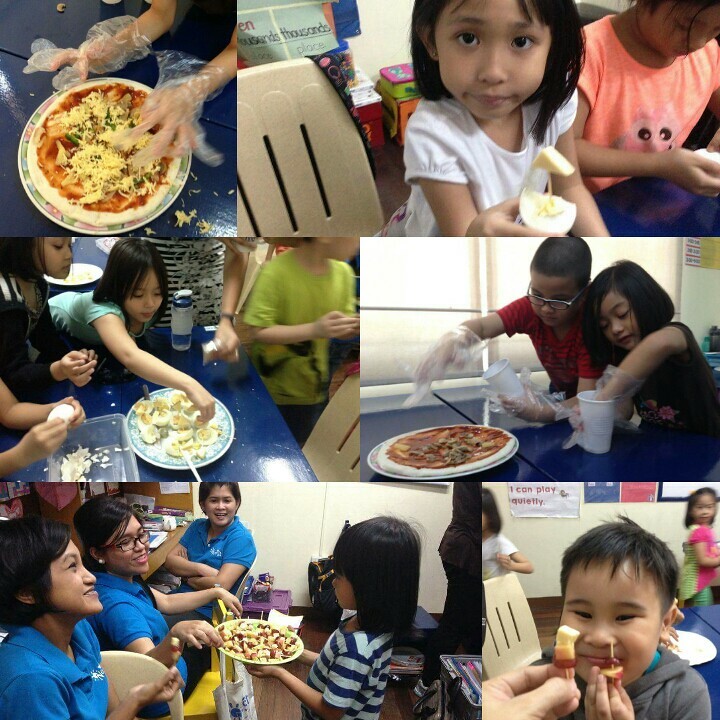 One of the activities was making their own healthy food which they greatly enjoyed. 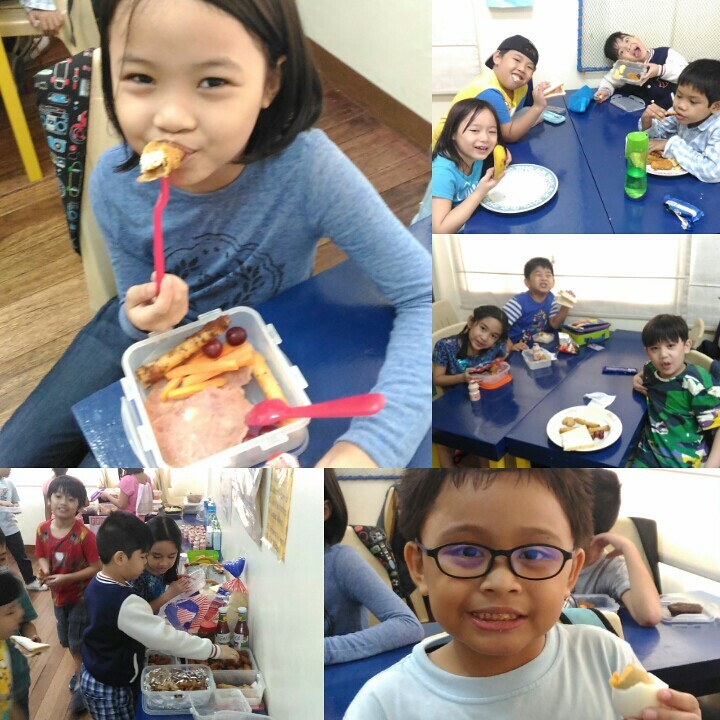 The first graders made fruit kebabs while the second graders made veggie pizzas and egg boats, which they also shared with each other afterwards. To complete the celebration, the students brought healthy food to share. It was nice seeing them try out the five food groups not once, not twice, but many times (for some)! 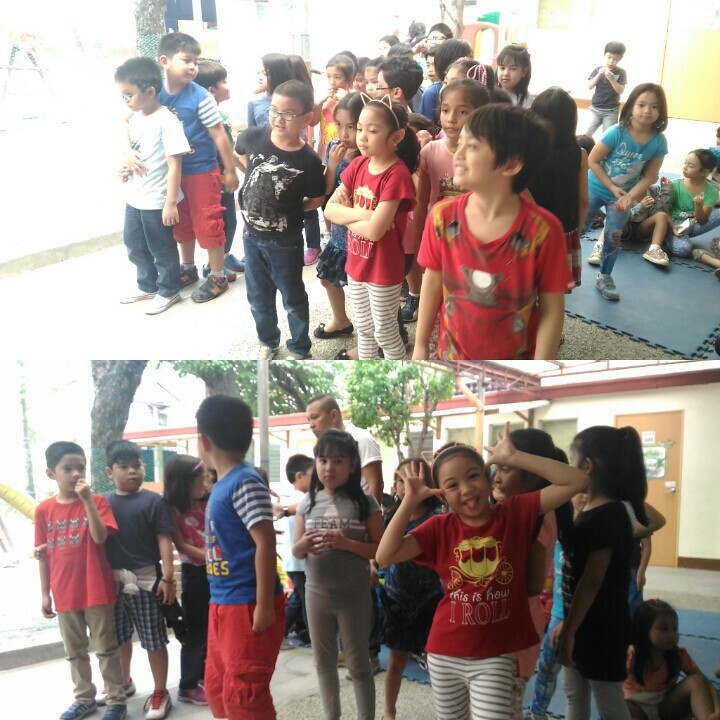 After the simple salu-salo, they had games. The first graders played the fruit relay, where two groups walked as fast as they could while holding a tray of fruit toys. The second graders tested their knowledge about the five food groups in the trivia game by walking to the letter of the correct answer. 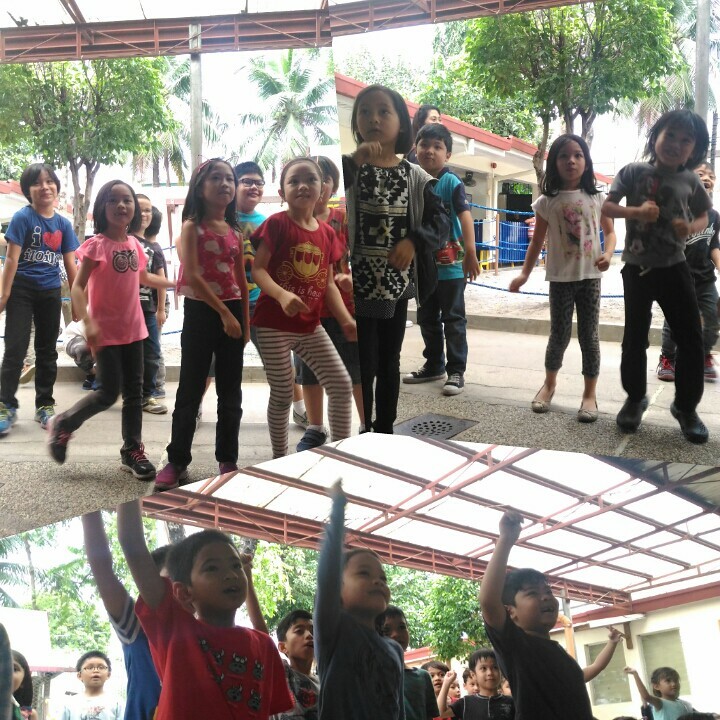 Exercising is also a good way to stay fit and healthy, so the students tried out the Zumba dance exercises per class and were even joined by some of the preschoolers! It was a fun and healthy week. 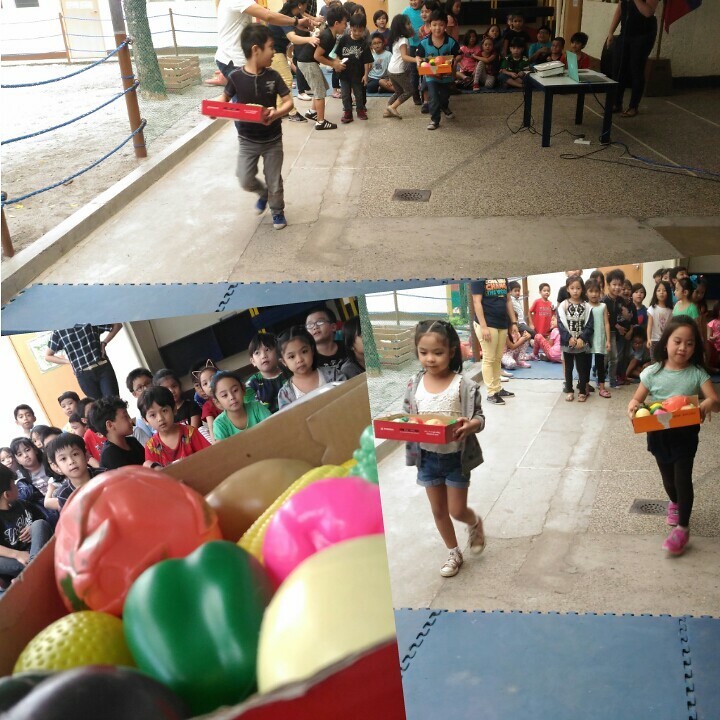 We hope that the children will remember the things they learned about eating healthy and exercising because health is wealth indeed!